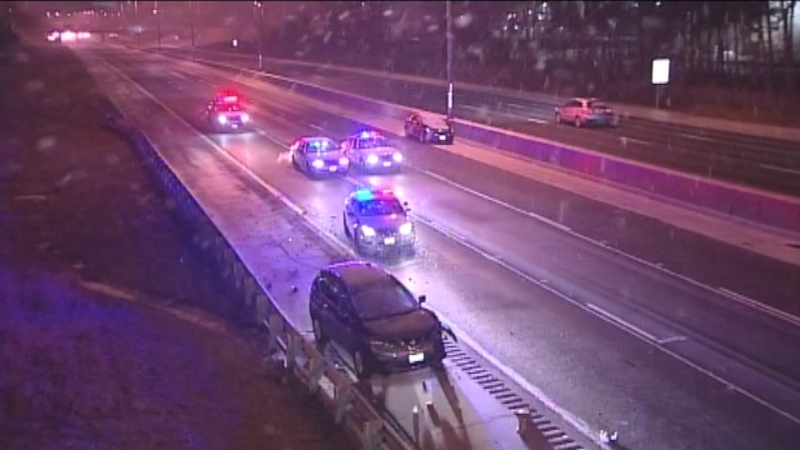 SKOKIE, Ill. (WLS) -- A 19-year-old man running to get help on the Edens Expressway was struck and killed early Wednesday morning. Erik Davis, of Lansing, Mich., had crossed several lanes of traffic after running out of gas was hit in the northbound lanes near Skokie Boulevard. A van struck him around 12:45 a.m. The driver stopped and called police, and the victim was transported to Northshore Evanston Hospital, where he died. Davis was one of four occupants of a Cadillac that had pulled off to the side of the road. The other passengers were a 15-year-old girl, and two 20-year-old men. Authorities said the driver of the van is not facing citations, calling the incident an accident.